When King George III bought the Duke of Buckingham's house in 1761 it was an elegant villa situated in spacious parkland. The Court resided at nearby St James's Palace and the house was intended purely as a comfortable retreat for the King and Queen and their growing family. The story of the reshaping of the house and its gradual transformation into a royal palace forms the basis for this highly readable account. Building his narrative around the lives and the personalities of the monarchs who have lived there - especially George III, George IV, Queen Victoria and Prince Albert - John Martin Robinson describes the changes made to the structure of the building and to its interior design. The sumptuous decoration of the rooms and the exquisite works of art that fill them are illustrated on every spread, serving as a reminder that Buckingham Palace is not only the Queen's official residence but also a superb setting for a world-class art collection. Visitors from all over the world pass through the State Rooms each summer enjoying this unique combination. John Martin Robinson has written extensively on British architecture. 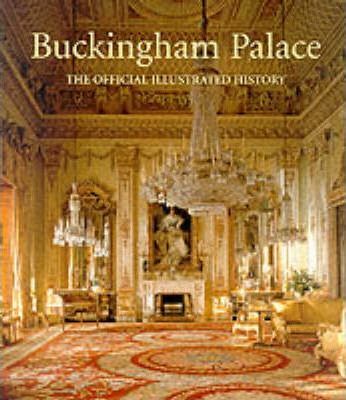 He is the author of a companion volume on Windsor Castle and also wrote the official guidebooks to both Buckingham Palace and Windsor Castle. He is Librarian to the Duke of Norfolk and Maltravers Herald of Arms Extraordinary.